Dr Harriet Edquist, RMIT's lead supervisor of the sabotaged PhD research on Snelling. Australian Freedom of Information inquiries have unveiled a chronicle of errors, by senior staff and contractors with Melbourne's RMIT University, that has sabotaged recognition of PhD research on Douglas Snelling which RMIT funded via a three-year scholarship. RMIT FOI documents received on 27 May 2013 by Snelling's biographer, Davina Jackson, clarify repeated efforts to reject her thesis after it was first circulated to external examiners in late 2007 and early 2008. 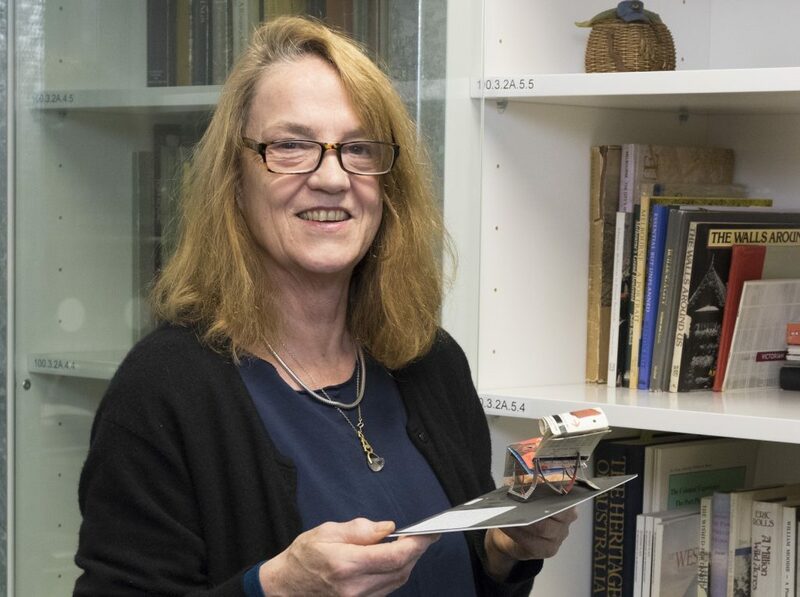 Jackson and her thesis, titled Douglas Snelling: Adventures in Pan-Pacific Modern Design and Architecture, encountered waves of hostile politics (protecting research turfs, factions and pecking orders) among several dozen leaders of Australia and NZ architecture and academic groups. This is part of a longer and broader saga from 1948 to 2012. > Approved by RMIT's then head of school, Harriet Edquist, as a PhD research project which she would supervise, providing a three-year scholarship to the candidate, Davina Jackson. Edquist appointed an RMIT historian, Doug Evans, as second supervisor. > Sequentially approved for the quality and extent of its new historical facts and multi-disciplinary. international scope by Edquist, Evans and their invited reviewers at RMIT's bi-annual graduate research conferences. > Questioned when Edquist, advised by external reviewer Hannah Lewi from the University of Melbourne's Faculty of Architecture Building and Planning, proposed that the original factual research be precised in an appendix and interpreted in a broader theoretical context such as 'originality' or 'marginality'. Edquist also suggested, after reading Jackson's first draft, whether Snelling was worthwhile as a PhD subject – based on her opinions of his personal conduct and quality of architecture. > Accepted by RMIT in late 2007 for external examination. Edquist did not to provide the examiners' names to Jackson (a common but not consistent practice among PhD supervisors), or the criteria for examination as provided to the examiners. > Passed in early 2008 as a historical (factual) thesis by its first external examiner (Peter McNeil of the University of Technology Sydney, then overseas) but deferred for major revisions, demanding extensive new theoretical analysis, by the second and third examiners (Christine McCarthy at Victoria University in Wellington and Andrew Leach, then at the University of Queensland, now Griffith, in Brisbane). > Dumped after the first examinations by head supervisor Edquist because Jackson refused to add new theoretical research well beyond the three year PhD project that RMIT already had approved for examination. Edquist and her RMIT colleagues supported the examiners' decision to ignore Jackson's citing of RMIT guidelines that theses 'must be a significant contribution to knowledge of fact AND/OR theory'. > Overseen by Richard Blythe, Edquist's replacement as RMIT head of school (architecture and design), after Edquist and Jackson could not agree on re-examination requirements. However, Blythe retained Edquist as Jackson's supervisor on the school's official record. > Targeted by another (then-lapsed) RMIT PhD candidate, Sydney artist Janet Laurence, who told Jackson in a telephone call that 'we can have your thesis failed'. Jackson complained to Blythe about this threat (part of opposition to Jackson and Snelling by supporters of Penelope Seidler, widow of Snelling's earliest rival Harry Seidler), but this information was ignored. > Rejected for re-examination by Edquist, still officially registered as RMIT's official supervisor (Doug Evans had retired). Blythe over-ruled her, accepting Jackson's 'intelligent decision' to insist that it be independently re-examined. > Failed by RMIT's School of Architecture and Design research committee (led by Blythe and Sue Anne Ware) in line with the final recommendations from McCarthy and Leach; which overruled the earlier pass recommendation from first examiner McNeil. —Looking at the assessors comments you can see this work caught between two ideas of how history works: as the assemblage of historic evidence; as the theorizing of the world based on a synthesis of historic evidence. —As the first assessor points out to do this all in one thesis would result in an outstanding contribution to knowledge. (the first assessor who passed it) The other two assessors are writing from their position in the second camp and requesting that the candidate undertake work that was beyond the stated scope of the project. While it is agreed from the first assessor that the scope does limit just how important the work might be we are convinced that it precludes it from being a successful PhD and note that all assessors found merit in the research work undertaken in terms of the assembly of primary data. —Because the assessors appear to be caught in this internal debate, with the local architectural historians embedded fully in the second camp we are not confident that the assessment reached to date is robust. —Their comments reveal that they are asking something of the thesis that is beyond its stated scope. The fact that the stated scope was a. accepted by RMIT as a PhD thesis topic, and b. subjected to regular scrutiny through the GRC processes during which the candidate was not asked to change the scope suggests that it is reasonable to make the conclusion that the assessment reveals more about the position of the two assessors who failed the thesis than it does about the thesis. This conclusion is supported by the fact that both these assessors and the third assessor who passed the thesis are confident about the worthiness of the historical research contained in the documents. One assessor claims that the lack of theoretical rigour is evidence that the candidate has failed the criteria to demonstrate a capacity for self direction and independent thought. Again this reveals the assessors ingrained belief that historical research is invalid and that value can only be placed on the theoretical. The assessment is self contradictory as to undertake what has been described as extensive and successful historical data collection requires self direction, motivation and independent thought. This is one of a number of contradictory conclusions reached in the two fail recommendations . > Entered for a university process to appeal against the failure, with the school's support. Blythe supplied a formal letter to RMIT administrators, supporting Jackson's appeal and suggesting that her thesis should be reconsidered by two new examiners. > Reconsidered at a hearing of RMIT's University Appeals Committee on 5 November 2010. Chaired by David Gilbert, the UAC decided not to accept Blythe's written 'mea culpa' that the school had made key process errors during the examination. However, it unanimously decided to uphold Jackson's appeal after John Reece, then Acting Dean of RMIT's School of Graduate Research (SGR), told the hearing that his group had not compared Jackson's thesis against the examiner's reports (thus failing to cross-check the school's failure decision). Although Jackson tabled a copy of her thesis and other publications, the UAC did not formally refer to it and stated that it was only judging university errors of process. —Review the examiners' reports to determine a) whether the recommendations were consistent with their texts and b) whether the reports satisfied the published criteria for the degree in question. —Review the SGR processes for determining classification of submissions for higher research degrees. —It was noted with concern that the student had proceeded with resubmitting the thesis without the approval of her senior supervisor and that the Head of School had not supported the senior supervisor or requested further independent assessment of whether the thesis was ready for re-examination. —It was also of concern to the Executive that the outcome letter from the UAC did not have an adequate explanation of what would happen as a result of the appeal against the Fail grade being upheld. Members envisaged that the appellant might conceive that she had been awarded a 'Pass' instead. —It was pointed out that as the Research Committee have classified the thesis as 'Failed', the RMIT policy is that the candidate should not be awarded the degree for which they are enrolled and should not be permitted to revise and resubmit the thesis for re-examination. Documents for attendees at this meeting included notes from SGR administrator Caitlin Raynor to 'please pay particular attention to the details in the [two supplied examiners'] reports as you will be asked whether you consider the text of the reports supports the overall classification recommended by the examiner'. Rayner applied italics to a following note that you are not being asked to assess the quality of the thesis academically and RMIT has confirmed that the attendees did not see Jackson's thesis. The SCR Advisory Board did not directly comment on how or whether the two negative examiners' reports complied with criteria that theses be judged on grounds of 'fact and/or theory'. McNeil's report already had judged the thesis on grounds of its factual content. Signed by Craig Paterson on behalf of the University Appeals Committee, it stated 'this brings to a close the avenues available to you to have this matter considered within the University'. Paterson said the appropriate avenue for external review would be the Victorian Ombudsman. > Discussed by Jackson with several public sector groups as a potential case of research misconduct (breaches of the Australian Code for Responsible Conduct of Research). Jackson's exploratory inquiries (not formal complaints) were made to the then-new Australian Research Integrity Committee (Australian Research Council secretariat), the Commonwealth Ombudsman, Victorian Ombudsman, Council of Australian Post Graduate Associations and other Australian agencies concerned with research integrity and standards. A disputes adviser from the RMIT student organisation advised that her case had caused a 'crisis of governance' for RMIT. > Discussed by Jackson with several lawyers who said she seemed to have been 'denied natural justice'. However their legal practices perceived commercial conflicts of interest with RMIT as a major current or potential client. > Discussed with Justin Withers, newly appointed policy and integrity director of the Australian Research Council (an agency under the Minister of Science and Research which provides direct research grants to university-based project teams and administers one of two offices of the Australian Research Integrity Committee). Withers clarified that ARIC@ARC only investigates how universities have dealt with cases of misconduct by researchers funded via ARC grants. ARIC does not deal with PhD cases because these are funded by DIISR under a separate 'research training' category. Withers indicated that ARIC@ARC@DIISR is concerned with governance of the Australian Code for Responsible Conduct of Research. He declined to say whether a breach of the Code for Responsible Conduct would be classified by ARIC as 'misconduct'. He declined to give a concise definition of 'research misconduct' but indicated it meant wrongdoing directly by the lead researchers in each case; not sabotage of research by others. This summary was written in reportage style by Davina Jackson, to be reviewed and filed by relevant official agencies, observers and historians [May 2013].